While the UMD football team took Labor Day weekend off, the volleyball team got their season started in Omaha. The Bulldogs went 4-0 at the UNO Shootout, beating Arkansas-Fort Smith, Adams State, Northwest Missouri State, and Angelo State, and making it look relatively easy along the way. In doing so, UMD was able to impress those who vote in the American Volleyball Coaches Association Division II poll. This week's edition of the poll saw UMD move up four spots from ninth to fifth this week. Defending national champion Concordia-St. Paul is still No. 1, and while five different teams got first-place votes, no one gave UMD the nod. That makes some sense, because those most likely to give UMD a boost in the polls are probably from this area, and it's hard for them not to vote for Concordia in the top position. The Bulldogs are in Fort Lauderdale this weekend for a tournament, and then they open the home schedule Tuesday at Romano Gym against Northern State. The football team, meanwhile, moved up a spot in the American Football Coaches Association Division II poll. Top-ranked Northwest Missouri State lost last week, so both UMD and Grand Valley State -- the new No. 1 team -- moved up a spot. The now-No. 2 Bulldogs play Saturday at Upper Iowa. 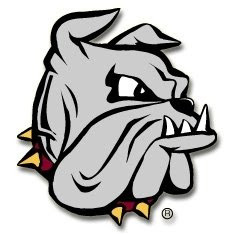 The Bulldogs got two of 26 first-place votes in the poll. I saw part of Grand Valley State's 34-31 win over West Texas A&M, and the Lakers look strong again. They'll be a formidable opponent in this region when the playoffs come around, and I fully expect both UMD and Grand Valley State will be in the playoffs again. In fact, for the foreseeable future, it wouldn't surprise me at all if the Bulldogs and Lakers developed quite an impressive rivalry in Division II football.